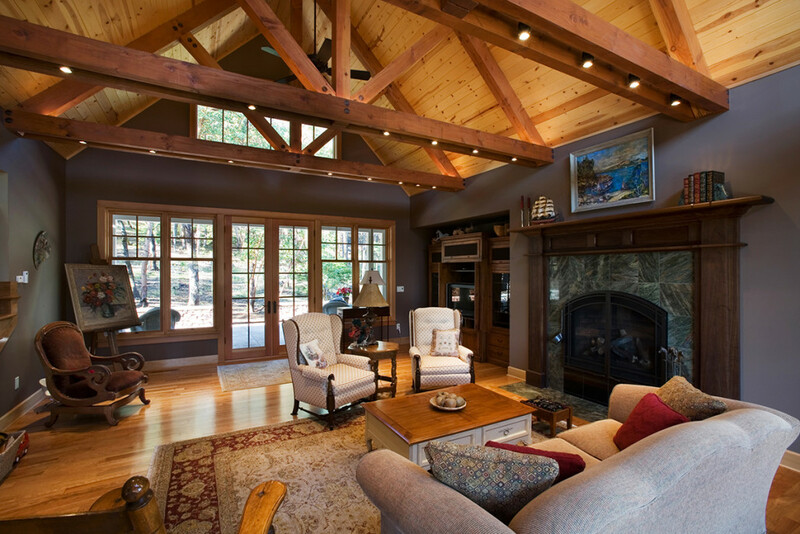 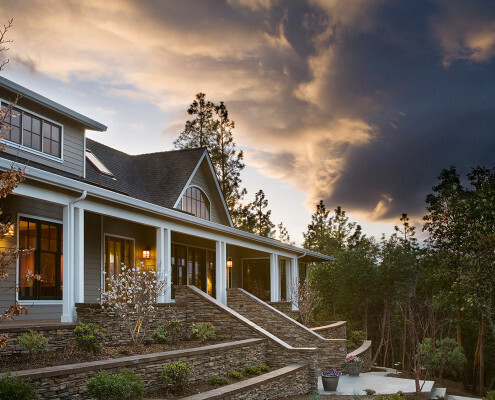 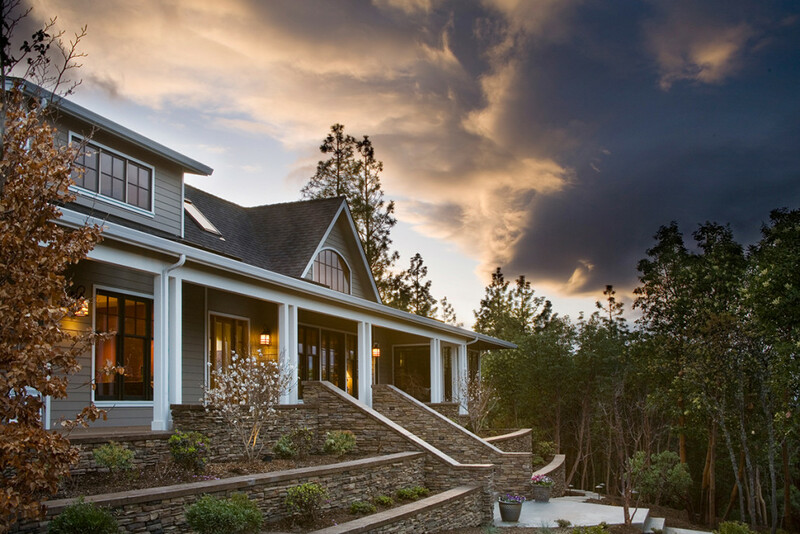 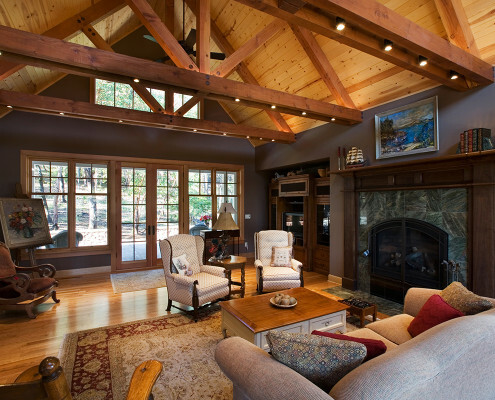 Relocating from the Southeast to the Rogue Valley, the owners of this home found themselves accommodating grandchildren, creating woodworking projects, and quilting. 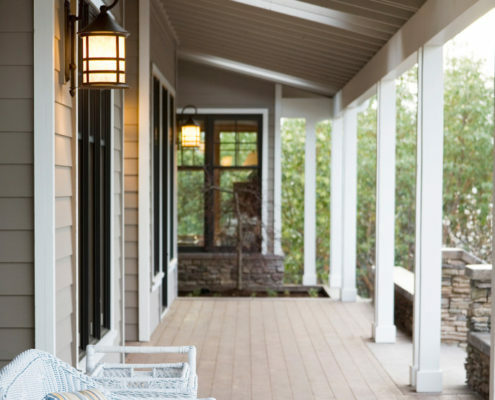 The extensive front porch with views through the grove of Madrones to Grizzly Peak extends a welcome feel that is reminiscent of homes from the client’s past. 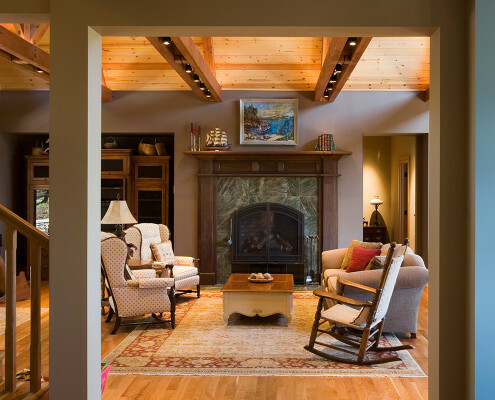 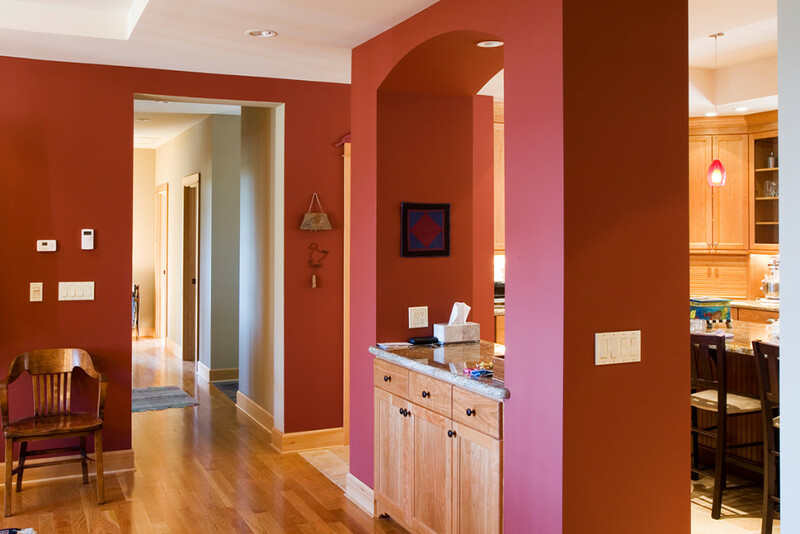 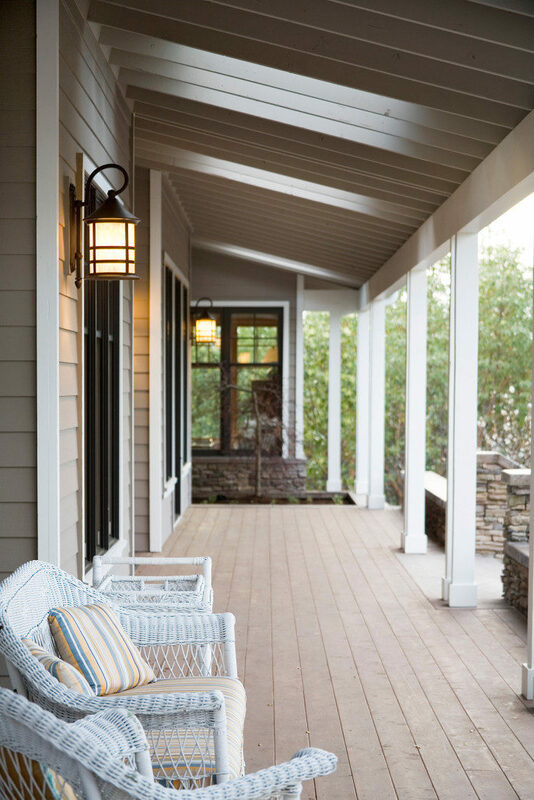 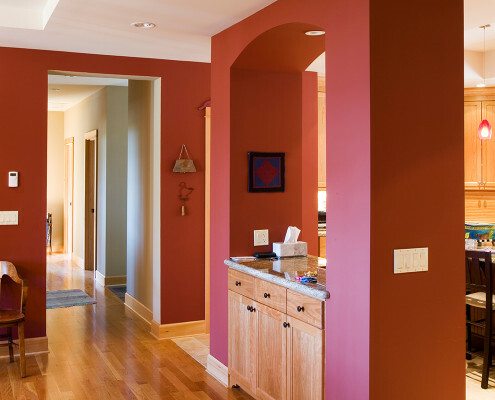 We integrated updated contemporary details in the interior that complement the more traditional elements of the porch, the truss work, and details. 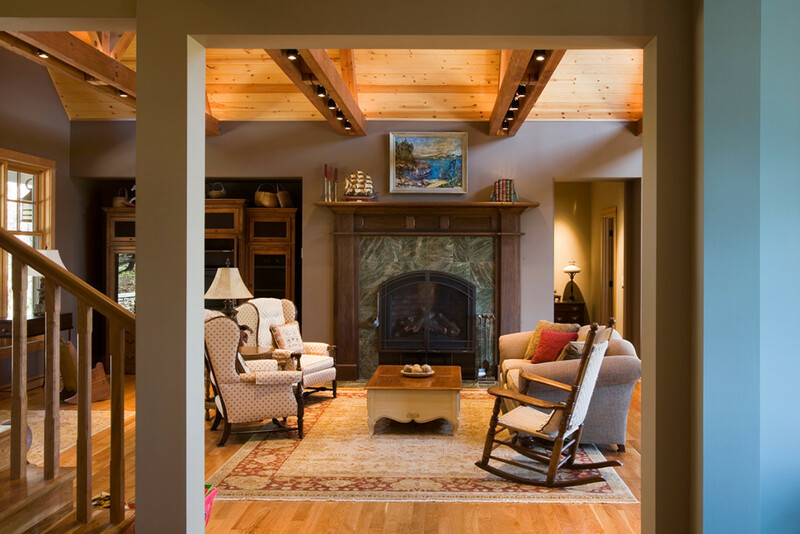 Innovative features include rainwater catchment tanks in basement, radiant floor heating, and a crafted heavy timber truss ceiling.